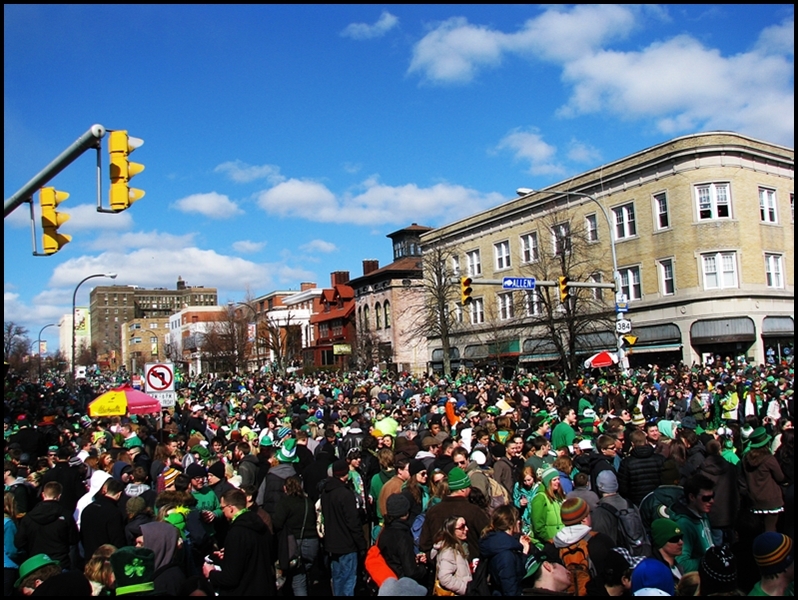 Mayhem at the annual St. Patrick's Day Parade here in Buffalo. 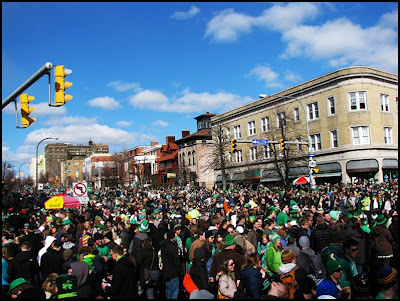 I personally do not have an Irish cell in my body (that I'm aware of) but who could resist a scene like this when it is a mere three city blocks from their house. And a belated Happy St. Patrick's Day wish to you too from a descendant of Daniel O'Connell! Right back at ya' Dan...nice to hear from you!